There have been numerous reports of display issues with the single sim Huawei Mate 20 Pro using an LG OLED panel, the same model sold by Optus. So far my phone seems fine but if this does happen in the first week of receiving it, will I be able to have it replaced at an Optus store? +1 to this question this issue seems to be becoming more and more widespread. I was just reading a few articles online that have highlighted the issue. Will I be able to have it replaced at an Optus store? We haven't received anything official from Huawei. I imagine as more reports come in, they'll release a statement. At this time, If you were to request a replacement from an Optus store, they'll likely ask you to follow the standard warranty repair process. We'll need to send the device back to the manufacture for assessment. We’re currently performing upgrades to the Yes Crowd platform. Please be mindful that moderator responses may be delayed until the upgrade is complete. We apologise for any inconvenience during this time. This guide explains how everything works on here and you should also check out our Community Guidelines. As I only have a potato camera on my old phone it is hard to photograph but this is definitely the beginnings of the same green tint issue I have seen online. So now I have to try explain this to the local Optus store staff (who were dismissive last time I had a warranty claim), then wait a few weeks for my brand new phone to be fixed. 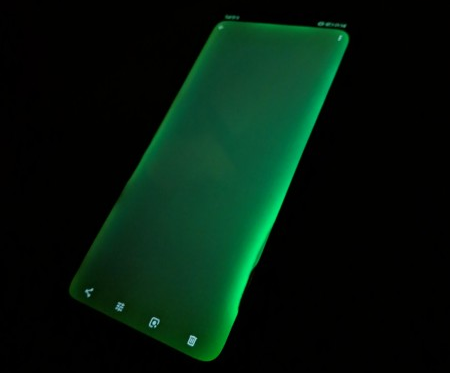 Hi, I had pre-ordered huawei’s Mate 20 pro and have been using it for a few days now, and I’m noticing a green tint along the curved edges of the device, as well as top and bottom of the screen. I’ve also done some research and Huawei seems to have acknowledged the problem but only referred the customers to an “authorised Customer Service Center” (https://m.gsmarena.com/huawei_responds_to_the_mate_20_pros_screen_light_bleeding_issue-news-34037.ph...). What are my options at this point? Exchange it for another unit? Return and get another phone? Please advise. I don’t want to be stuck with a faulty handset from day 1!! I have same green tint issue very evident when its on white background .its starting to get prominent .what is optus going to do about this? I also notice another thing but not sure if the is the mate 20 pro's feature .my brightness seems to darken at certain times .my auto brightness is turned off. I have the same issue and its getting more and more obvious as I use the phone . Very keen on what optus will do regarding this .i dont think taking it for repair is just .a replacement should be more proper as it is onlyoaafew days. But even if it gets replaced I am worried I'm going to have the same issue. So disappointing .The phone is very good but this quality just ruins it .I will be reporting this both to Optus and Huawei .Can i do a replacement directly with Huawei? Will I still have the warranty with Optus? Very disappointingly to hear this. Haven't had this issue yet but learning my lesson not to preorder phones. Poor form by Hauwei. They're not going to be stealing any loyal Apple or Samsung customers with this kind of quality control. Hope Optus step up and offer replacements or options for different handsets . I think it's time Huawei and Optus start talking about this and provide solutions . A few articles came out today which confirm that Huawei has acknowledged the issue (at-least in Europe).